A block away from The New Yorker, Macy’s Herald Square is a shopping mecca, stretching from 6th to 7th Avenues. It’s also a historical landmark. Opened in 1902, this Macy’s is the chain’s flagship store as well as one of the most iconic in the nation. Here you could spend hours and thousands of dollars. That said, if you have a weakness for shopping, take advantage of our Macy’s Shop + Stay Package. Get breakfast plus a giftcard to the famous department store and save yourself some cash. While a rainy day spent at the museum might seem cliche, there’s nothing cliche about MoMa. Just an 8-minute train ride from The New Yorker via the E line at Penn Station, MoMa is home to over 200,000 works of modern and contemporary art. It’s also got three highly-rated restaurants, including The Modern which has won several James Beard Foundation awards for its menu. With its world-class art, cuisine, and gorgeous views, you could easily make a museum day out of your visit. An all-in-one sport and entertainment complex, Chelsea Piers is an especially great place to take the kids on a rainy afternoon. With batting cages, rock climbing, ice skating, and bowling, there’s enough here to spend an entire day, work up an appetite, and tire the kids out. Luckily, there’s also some primo adult activities, like the spa and salon, the fitness club, and the covered driving range. 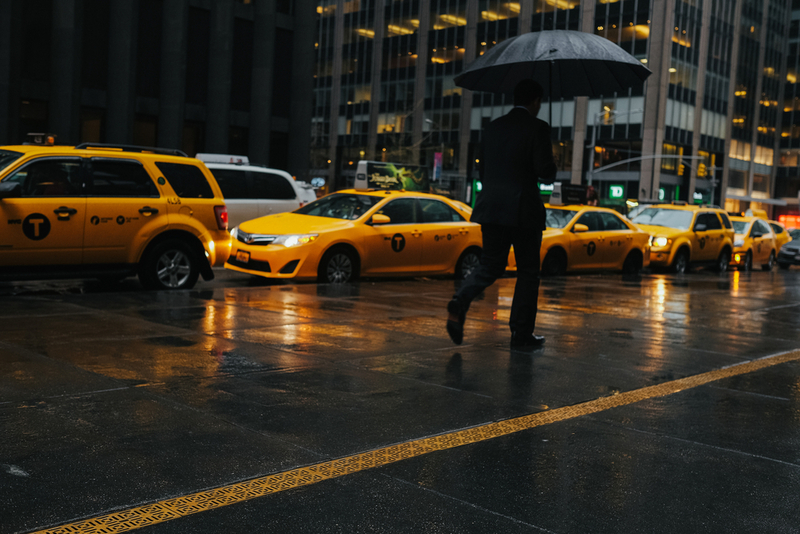 Although public transportation is available to Chelsea Piers, we recommend taking a cab on rainy days. It’s a 10 minute ride, and this particular destination requires more walking than the ideal on a rainy day. Not only is Grand Central one of the most emblematic buildings in all of New York City, it’s also a great place to shop. Here you can see the iconic, four-faced brass clock, historic ticket booths the throngs of people in the main concourse, and then turn the corner, go up the stairs and be in the middle of the resident Apple Store. In addition to the numerous stores, there are also plenty of restaurants in the dining concourse, as well as one of our picks for New York City’s hidden gems - the Whispering Walls.